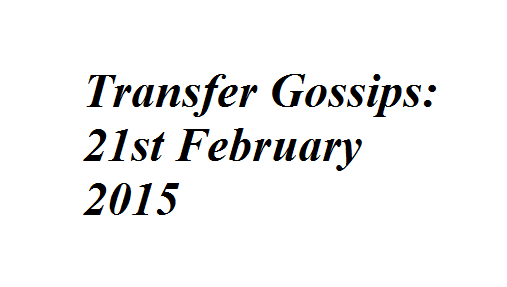 Transfer News: 21st February 2015: David Moyes eyeing Sammy Ameobi, Kevin De Bruyne on Arsenal’s radar, Paul Pogba to cost €100m. David Moyes eyeing Sammy Ameobi, Kevin De Bruyne on Arsenal’s radar, Paul Pogba to cost €100m and much more in today’s transfer roundup. Arsenal boss Arsene Wenger has targeted Kevin De Bruyne as a possible replacement of Santi Cazorla, according to Daily Telegraph. The former Chelsea winger is a vital player for his current side Wolfsburg. Juventus star Paul Pogba will not leave the club for less than €100million, according to the player’s agent Mino Raiola. The Spanish giants should prepare that amount to seal his summer move. Manchester United are preparing to sign Lazio star Lucas Biglia, as per Daily Mirror. Louis van Gaal is keen to sign the defensive midfielder. Spurs are keen to sign PSV star Memphis Depay who has also been linked with Manchester United for the summer move. The Dutchman is rated at £22million. Real Sociedad boss David Moyes will try for Newcastle Unied striker Sammy Ameobi if he fails to sign Burnley forward Danny Ings, as per Daily Mail.